Lesotho, officially the Kingdom of Lesotho, is a landlocked country and enclave, surrounded by the Republic of South Africa. It is just over 30,000 km2 in size with a population of approximately 2,000,000. Its capital and largest city is Maseru. 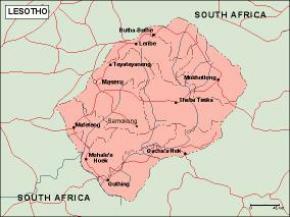 Lesotho is a member of the Commonwealth of Nations. 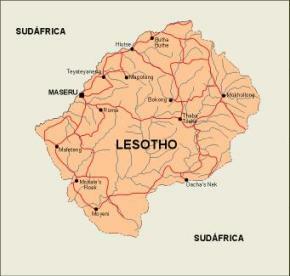 The name Lesotho translates roughly into the land of the people who speak Sesotho. 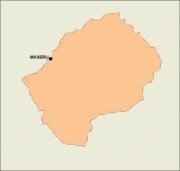 Lesotho covers 30,355 km2. 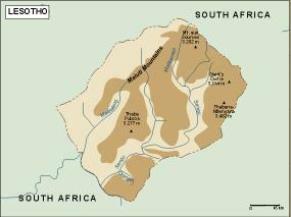 It is the only independent state in the world that lies entirely above 1,000 metres in elevation. Its lowest point of 1,400 metres is thus the highest in the world. Over 80% of the country lies above 1,800 metres. 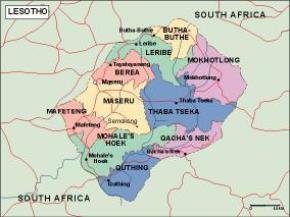 Lesotho is also the southernmost landlocked country in the world and is entirely surrounded by the country of South Africa.